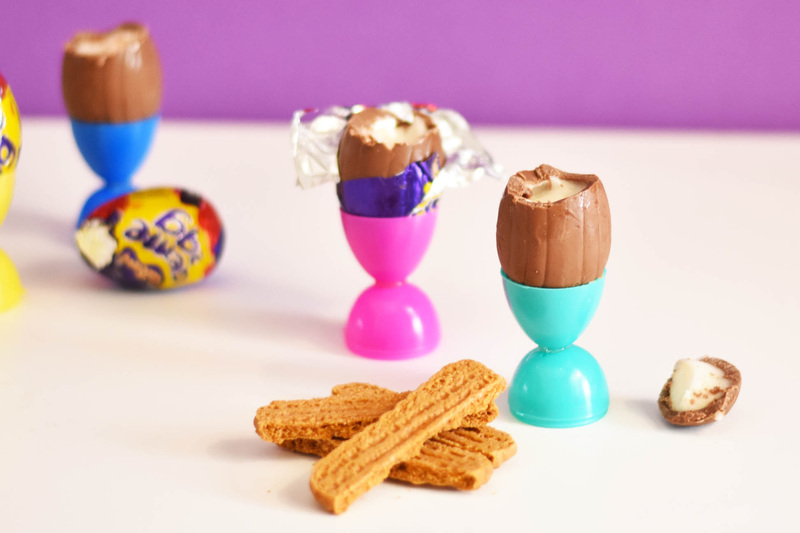 If you can find, deep inside yourself, the strength to wait a couple minutes before scarfing down your Cadbury Creme Eggs this Easter season – here’s a recipe that’s worth the wait. 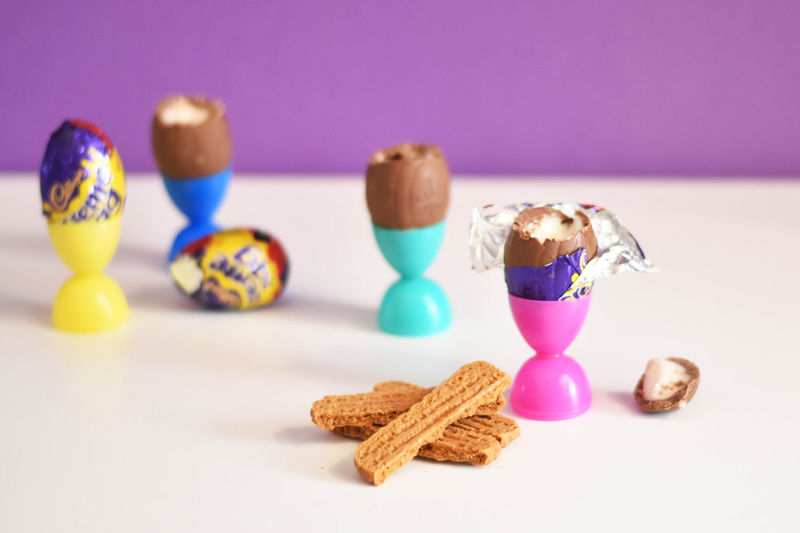 Egg and soldiers is the cutest breakfast so figured it would make a pretty cute dessert, too. This treat is very easy to put together and will make people squeal with delight! 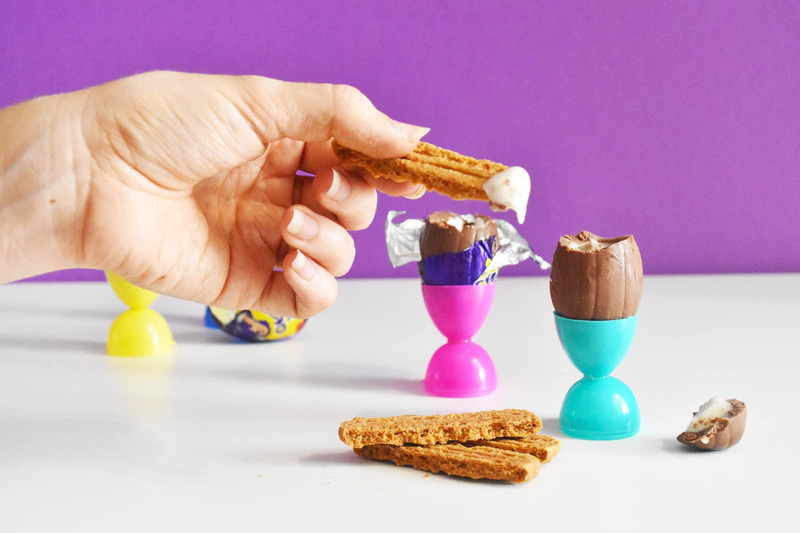 All you need is Cadbury Creme Eggs, and some nice simple biscuits plus plastic Easter eggs to make your colourful egg cups.